Rich in heritage and colour, our Saltillo tiles are authentic, handmade, cave-fired clay floor tiles. Just like our Classics Range, each Saltillo tile is handmade and slightly different to the next. 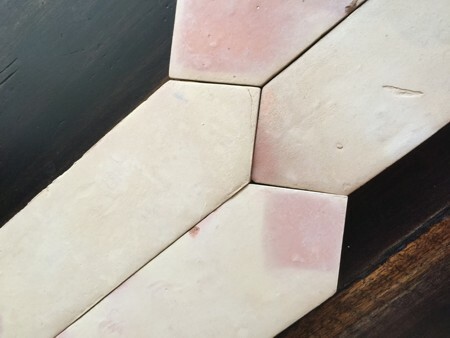 The colours are varied through each tile - buff to peach, blond and ecru. The clay used is always clean, the finish always magical and timeless. We are in Brisbane and can send these anywhere in Australia. 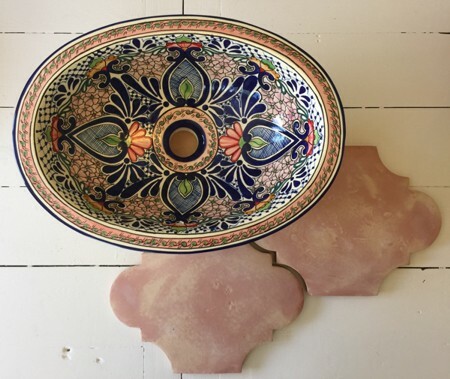 The Saltillo tiles are handmade and handfired in Mexico, being a spanish / mexican product that is very traditional. They should be sealed and then can last for almost ever. Currently in stock, we have the large square 31 x 31 and the matching bull nose. 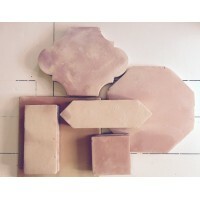 (We also have some smaller rectangular tiles that are 22 x 10). The cost is approx $178 + GST / SQM. Please contact us directly for further information or if you would like a quotation for supply and delivery of the our Saltillo clay floor tiles. Simply fill out our Contact Page and we will get in touch with you.